Another talented Midwest musician, formerly the front man for the band Jah Roots, is Josh Heinrichs, a native of Springfield, Missouri. He left Jah Roots in 2009 in order to spend more time with his wife and children. His love for reggae music continued and fans were excited when Josh announced in the spring of 2009 that he would be moving forward and recording/performing as a solo artist. Shortly following his announcement Heinrichs released the appropriately entitled EP ‘Things Change,’ and toured in support. The ‘Things Change’ tour played throughout 2009, stopping in various locations throughout the Midwest, west coast, and Hawaii. During the tour the many fans that turned out to support Heinrichs’ new musical vision were thrilled to discover Heinrichs was still performing their favorite Jah Roots standards -in addition to- delivering the current, and evolving music he was writing as a solo artist. From the opening groans of Stand, featuring Hawaii’s BW, Heinrichs delivery is passionate and real. The rock- solid drum and bass is heavy like lead, a perfect complement to the acute lyrics therein. “Get up stand up, stand up for your rights”, beckons Heinrichs. Yes, those are oft used words but he adds freshness with the next line as he states “it’s an individual obligation to do what’s right in this life.” Very nice tune all the way around! The record is full of quality tunes, all of which Heinrichs sings with verve and depth of feeling. New Love, with its pointed guitar riff, features Oakland’s Clear Conscience. Heinrichs spins a timeless tale as he conveys to his beloved what he truly feels for her. Rise Above showcases the ukulele and singjaying of Hawaii’s Koko of the band Inna Vision. This tune has a really interesting, lazy feel to it. A subtle melodica is present throughout, a surprising, yet welcome complement to the ukulele. Fellow Midwesterner and America’s Got Talent runner-up Cas Haley joins Josh for a memorable cover of the Maytals classic Pressure Drop. Both are perfectly suited for a song that demands fervor and emotion in its delivery! The acoustic vibe is a nice touch. A live version of Poverty/Burnin’ (From Josh’s Jah Roots days) featuring the Soul Riddim Band is a worthy inclusion. Love in the Community, with a booming bassline played by the legendary Aston 'Family Man' Barrett and the guest vocals of 77 Jefferson's Joel Castillo is arguably one of the finest tunes on the record. Heinrichs' deep seated, throaty delivery is a perfect match for Castillo's smooth-like-a-single-malt voice. Family Man's lickshot speaks for itself! Every track is worth more than multiple listens. 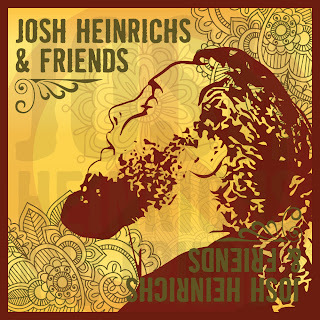 Beginning to end, ‘Josh Heinrichs and Friends’ is an album full of accomplishment. His music is original and authentic. His message is concise, his words simplistic and well-chosen. The intensity of his expression is undeniable as is his emotion-filled delivery. ‘Friends’ is certainly one of the better albums of 2010. 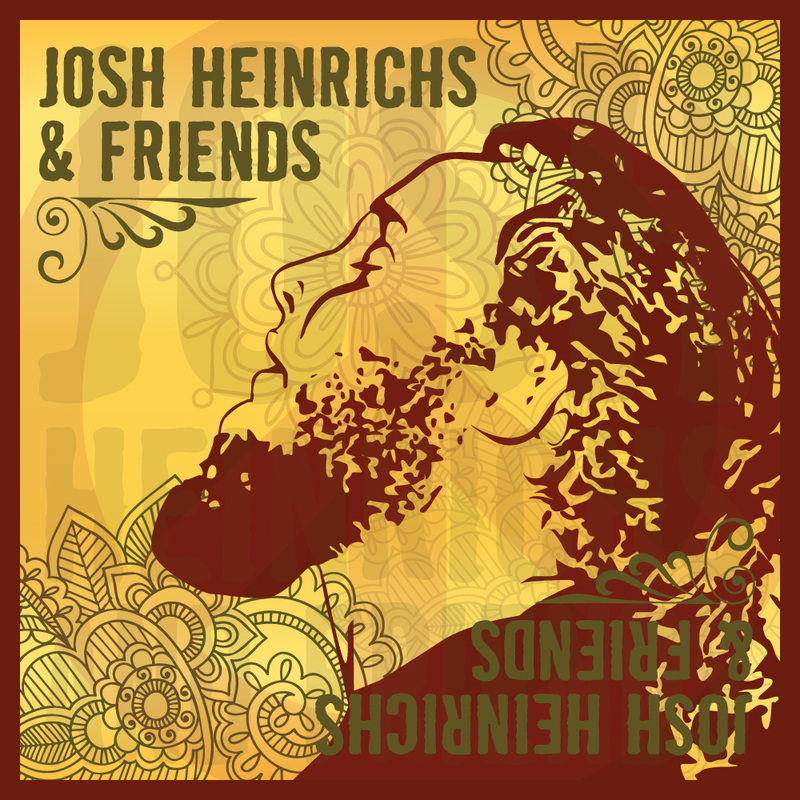 On it Josh Heinrichs showcases not only his incredible talents, but also the talents of many of his reggae contemporaries. Highly Recommended! First hearing of him. Thanks.